Winter has arrived. 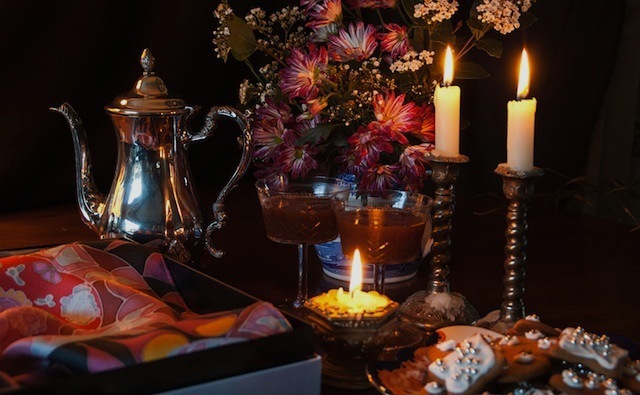 Time to be indoors with rich spicy scents, ginger flavoured treats and a touch of candlelight. Do I see Christmas round the corner? 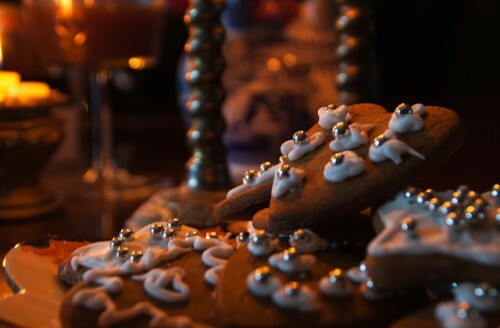 Well here we have some iced gingerbread cookies. 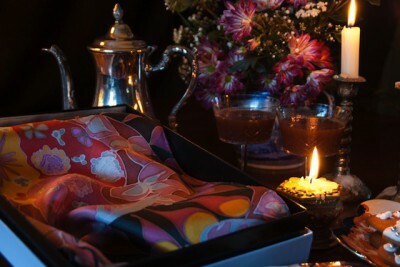 Featured hand painted silk scarf is Portia Mandarin.